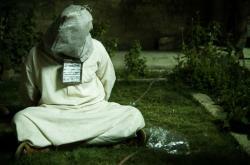 Examine the fight over the CIA’s controversial interrogation methods, widely criticized as torture. Through recently declassified documents and interviews with key political leaders and CIA insiders, investigate what the CIA did and whether it worked. FRONTLINE: Secrets, Politics and Torture﻿ airs Tuesday, May 19, 2015 at 10 p.m. on WXXI-TV.